Artur Groß was born on 7 April 1911 at Stuttgart. At the beginning of 1936, he joined the Luftwaffe. Groß underwent flying training at Freiburg then, from the beginning of 1937, at the Flugzeugführerschule at Nellingen. He completed his training at Nürnberg in August 1939. 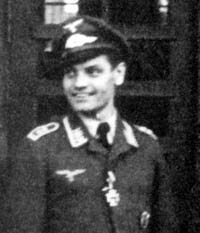 Groß was posted to the Fliergerausbildungsregiment at Kaufburen to undertake an instructing role. In June 1943, he was transferred to the Jagdfliegerschule at Lachen-Speyerdorf. From 13 to 28 July, he attended the Blindflugschule 110 at Altenburg. On 29 July 1943, Groß was posted to JG 300 operating single-engine fighters on Wilde Sau missions against the RAF night-bomber offensive. Oberfeldwebel Groß was assigned to 8./JG 300 based at Oldenburg. On the night of 22/23 September 1943, Groß recorded his first victory when he shot down a RAF Lancaster four-engine bomber near Hannover. He repeated the feat the next night downing another Lancaster near Mannheim.  On 1 November, 8./JG 300 was redesignated 8./JG 302. On 9 February 1944, Groß was assigned to Einsatzkommando Helsinki and despatched to Helsinki-Malmo to assist Germany’s Finnish allies to combat the Russian night bomber offensive against Helsinki. He did not add to his victory total while serving with the unit and returned to 2./JG 302, based at Jüterborg, on 27 March. Operating in the Reichsverteidigung role, Groß was to be very successful against the USAAF daylight bombing raids. He recorded his first victory by day on 11 April 1944, when he shot down a USAAF B-24 four-engine bomber near Braunshweig. He added two USAAF B-17 four-engine bombers later in the month to have five victories to his credit by the end of April. On 24 May, Groß claimed two B-24 bombers, one a Herauschuss, over Sankt Pölten to record his sixth and seventh victories. On 9 June, he claimed three B-24 Herauschuss near Landshut to raise his victory total to 11. Artur Groß was credited with 11 victories. All his victories were recorded over the Western front and all were four-engine bombers, including three shot down at night.